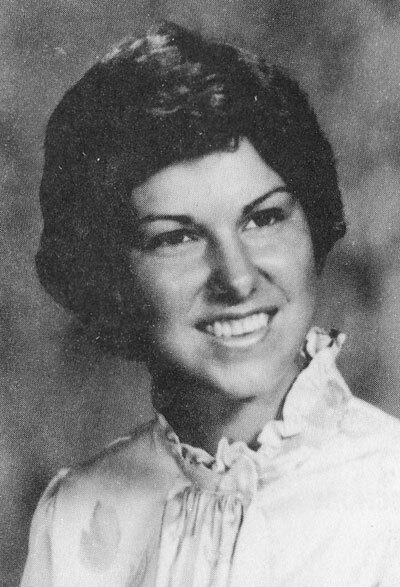 Mary Jo Swartz had three outstanding attributes, she was an exceptional basketball player who could score and rebound. She was a very good tennis player. She was an exceptional student. This mixture of brains and ability gained her All-American recognition in both basketball and tennis in the year 1983. Mary Jo was only a freshman at Triway High School when she first showed the opposition in the All-Ohio Conference that she was a basketball player to be reckoned with in the future. She led the Lady Titans in both rebounding and free throw percentage, a fete she would repeat throughout her high school career. These early efforts gained her Honorable Mention in the conference. The next three seasons she was the Titan’s MVP and captain and garnered first-team OAC honors each year. She picked up first-team UPI All-State recognition in both her junior and senior years while leading Triway to the conference title as a junior and to sectional championships in both her junior and senior seasons. She capped her career with the award for UPI Class AA Player of the Year for the state of Ohio and finished with 1300 points and 916 rebounds. These traits of scoring and rebounding enabled her to be awarded a full athletic scholarship to Tennessee Tech University. As a freshman at Tech, she started and lettered on a team that won 30 or 34 games, the conference title, and was ranked in the top twenty of NCAA Division I schools. After her initial season, she transferred to Malone College in Canton, Ohio where she went on to letter and start for three seasons with the Pioneers. She was selected All-Conference twice as Malone gained the NAIA national tournament both seasons. As a senior, Mary Jo was selected as an NAIA All-District pick and was on the Academic All-American team. In addition to her outstanding accomplishments on the basketball court, she was equally adept on the tennis court. Triway did not have a Girls tennis team when she was a freshman, so she went out and played on the Boys team. She then lettered for three additional years on the Lady Titans tennis team. After lettering at Tennessee Tech for one year, she lettered at Malone on an NAIA District Champion in 1983. She gained her second Academic All-American pick as a tennis player. Upon graduation from Malone, she helped coach basketball at the College of Wooster. She is now working toward an M.D. degree and hopes to specialize in Sports Medicine.